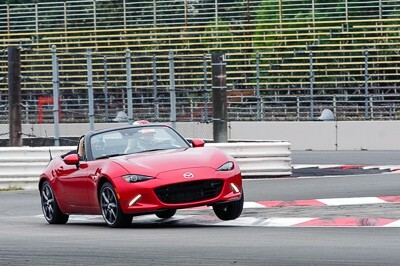 Track tested and racer approved, the CorkSport MX5 Sport Springs are a perfect match for your daily driven MX-5 Miata. The CorkSport Sport Springs give the MX-5 an aggressive look without sacrificing functionality or ride quality. #ZoomZoom! 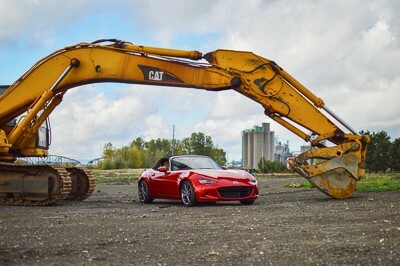 Multiple spring rates were tested at Portland International Raceway to determine the best spring rate and front/rear combination that enhances the Miata's driving experience while maintaining a comfortable daily driver. The CorkSport Sport Springs provide a drop of 1.6” Front and 1.1” Rear. This provides an aggressive look without worrying about every speedbump and parking lot entrance. You might even notice a slight forward “rake”. This was by design so that the car sits level with two occupants. Designed to work with the OEM Standard model and Club model struts. 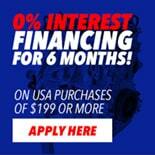 Compatible with: 2016+ Mazda Miata MX-5 sport, grand touring, and club models. Crafted from high tensile strength spring steel for long lasting quality and performance. It will take you three hours to install the CorkSport Sport Springs with our easy-to-use instructions. I got these for Christmas and am using with with the stock dampers. The ride is really good as I drive the car daily. The springs really made the car more responsive on turn in going through my favorite twisty roads. I highly recommend these for a daily driver. Can I use this on the RF? Hi ! 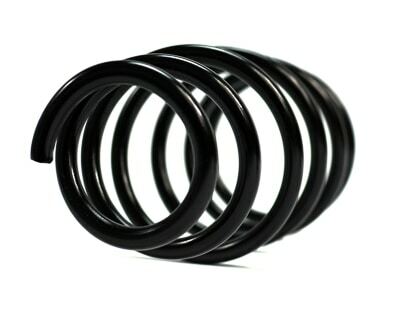 Can i use this springs on Bilstein dampers ?